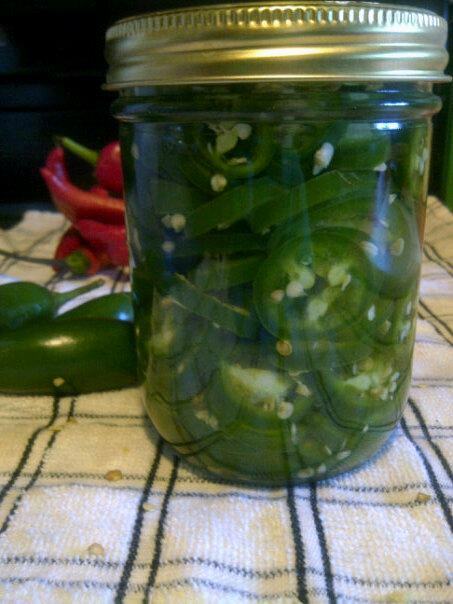 I love to keep a jar of these quick pickled jalapeno peppers in the refrigerator. They are naturally dairy and gluten free which is wonderful! These jalapenos mellow as they marinate in the refrigerator. The peppers themselves and the peppery vinegar are both great for adding a kick to your food. Fill a pint jar with fresh sliced jalapeno pepper rings. In a bowl combine 2/3 cup white vinegar, 1/4 tsp salt, and 1/3 cup bottled water. Pour the brine over the peppers. Place a two piece lid on the jar and place in the refrigerator. How long will they keep in the refrigerator? These will easily last 6 months if not longer in the refrigerator.